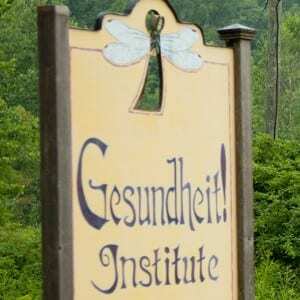 Gesundheit has had a great year, infecting the world population with peace, justice, and care for all people. Thanks to a bequest from Merry Kay Powell, and help from Bruce Perlowin we have raised enough funds to put our first big building under roof – the Teaching Center. When its residence is built, I will finally be able to live in West Virginia. With the land staff, the School for Designing Society, and Clown One Italia, we have had many programs on the West Virginia property, with people from all over the world. I have been lecturing and performing all over the world 300 days this year. We had six clown trips to the usual places, Ecuador, Guatemala, Peru, Costa Rica, and Russia. A big new thing was we have wanted to take people who have been traumatized by their military experience on clown trips (6000 kill themselves every year). In October we took 10 vets and 10 staff to a second Guatemala trip for 8 days of clowning, with wonderful results 2 months later, so other trips are being planned for 2016. Finally, after 10 years of work in the Peruvian Amazon, we’ve found enough funding to support four women who are now living there; a physician, a psychologist, and 2 musicians. We also want to acknowledge our friend Shlomo who gave us $50,000 to continue our work in the Amazon. We originally began working in the region to create interventions against child abuse. So, I enter 2016 excited to work for peace and justice in many fun and unique ways. Please help me, help all of us, to visualize the building of our radical hospital model that can show a fully modern hospital at 10% of the cost. And please choose to be radiant in your day-to-day life-for all people. 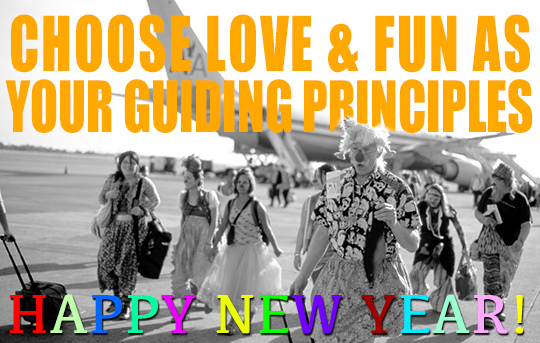 Choose love and fun as your guiding principles.